Slickdeals News & Articles Deal Guide Super Bowl TV Deals: Is This the Best Time to Buy a TV? 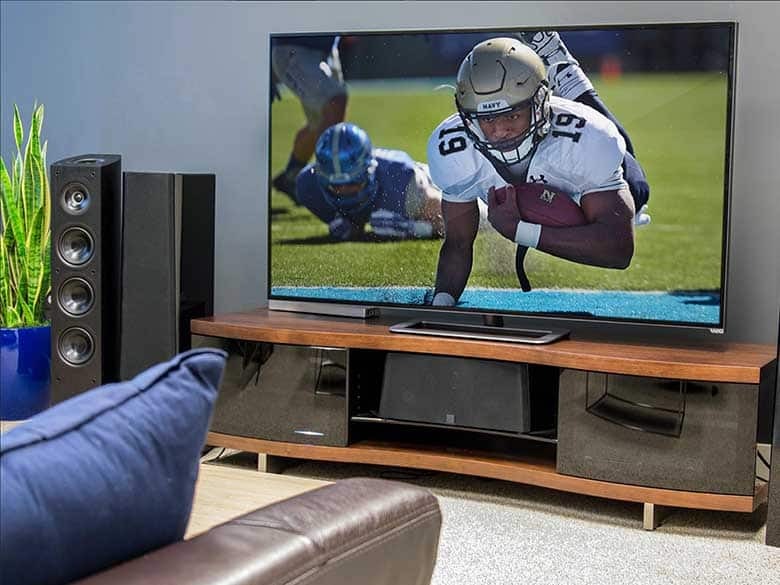 Super Bowl TV Deals: Is This the Best Time to Buy a TV? Is it worth skipping Black Friday deals to buy a new TV during the Super Bowl instead? When it comes to getting the best price on a TV, many people think of Black Friday and Cyber Monday as the best days to buy. But is it better to wait until the Super Bowl rolls around instead? Well, it depends on what you're looking for. While not always the case, you tend to see better models on sale closer to the Super Bowl than you do in November. Last year, you could get a 49-inch 4K TV for $249 during Black Friday, but it was a Haier. Have you ever heard of Haier? Me neither. There were also plenty of 60-inch 4K Ultra HDTV sets for $600 to $800, including an LG for $599 at Best Buy. Both great prices, but you get what you pay for. The Haier model was specifically released for Black Friday and its sole purpose was to get people into the store. That doesn't mean it's a bad TV, but it's not a top-of-the-line 4K TV. Should You Get a 4K TV? This is the question consumers have to start asking themselves when buying a new TV. The technology has been around for a few years now and prices have dropped to affordable levels. Access to 4K content is still a challenge, but with the deals you can find on 4K TV these days, there's no reason not buy one. P.C. Richard & Son is selling this 55-inch Samsung 4K HDR Smart TV for $550 and shipping is free. You should consider upgrading to a 4K TV if you're a cord cutter or someone who prefers to watch Netflix or Amazon Video instead of regular TV. The Roku 4, Chromecast Ultra and Amazon Fire TV all allow you to stream 4K content. Just remember that you will need a fast Internet connection in order to stream 4K movies and shows. Netflix recommends at least 25 megabits/second in order to stream 4K content. However, keep in mind that's just for one device. If someone is using their phone, or if you have other devices using your home Wi-Fi (most people do), you'll need close to double that speed. If you don't have a fast enough plan, you'll need to pay more to take advantage of your new TV. In comparison, a regular HD movie can be streamed with just 5 megabits/second. Since the 2017 models for most TVs haven't been released yet, the prices for the current TVs will continue to drop over the next couple of months. There are still good deals to be had, but don't be surprised if any of these are cheaper after the Super Bowl. The brands with the most popular deals over the past month are Samsung, LG, Sony, Sharp and Vizio -- the usual suspects. Here's how they break down by size. To see all current TV deals, visit our TV deals page here!